Setup charge include in price. Glow in the Dark Silicone Wristbands. Debossed or printed wristband available. If you run a tourist attraction such as laser skirmish or haunted mazes you may find it difficult to spot your customers in the dark if you ever need to find anyone. With our promotional Glow in the Dark wristbands, you won’t have this issue. Available in a range of colours, these wristbands are perfect for attractions like laser skirmish and haunted mazes as well as being a great option for events and festivals running into the night. 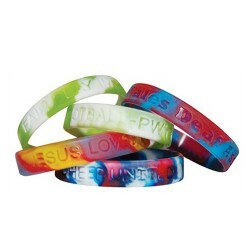 These wristbands are available in both kids and adults sizes and both will give you ample printing space for your logo. 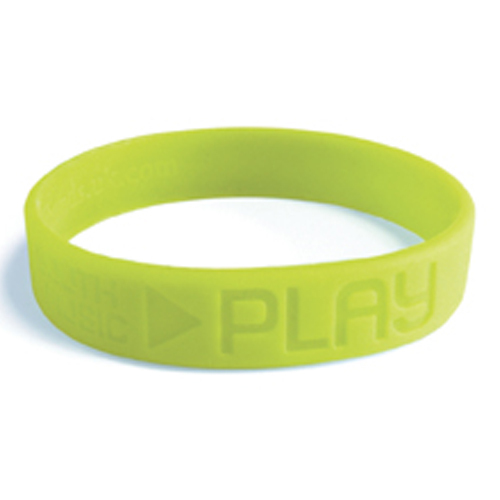 These wristbands are also a great general promotional merchandise item for any tourist attraction. Our Glow in the Dark wristbands can either be embossed or debossed giving you the option of how your branding will look. 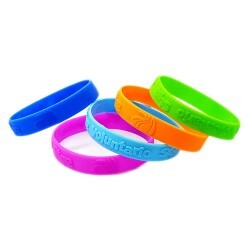 Promotional wristbands are a great way to get your company in front of potential and returning customers. If you’re after a wristband with a difference, you can’t go past our branded Glow in the Dark wristbands.